Exam Phobia What To Do? Tips For Exam Days, How to perform good in exam and ways to over come from exam fear, Astrologer for best tips to score good in exam, Exam Astrology. When exam come generally every one get nervous. This is the time when students try to focus only on studies and this is sometimes create problems in life. So here in this article we will find that how to deal with the exam time. Don't create Serious Environment: Behave naturally in exam time, don't take tension otherwise heaviness will disturb your mind. Enjoy some time and also give some time for leisure. Relax mind can easily grasp. Exam Time Is The Revision Time Not a Learning Time: Keep in mind always that the exam time is the time to recall the memory whatever we have learnt in the past days. So do the studies whole year and revise the lessons in exam time. Keep Yourself Away From Quarrels: It is good for the parents to maintain the peaceful environment in the home specially in exam days. Otherwise it will create adverse effects on the mind of children. 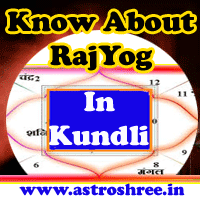 read about Astrology For Competitive Exams. Don't Study Continuously: It is again a common things which is found during exam days. Students study continuously day and night which is not at all good. Take break and also take the breakfast, lunch, dinner on time and take proper rest otherwise health issues may disturb the life. Discuss The Subject: It is good to discuss any topic with friends or with the parents so as to understand it easily. Use Ticks To Remember The Topic: Don't think that you can learn any lesson by heart. In spite of that relate the topic with any ideas or thing or any incident so that you can remember it very easily. Keep In Mind That Nothing Is Impossible: Mind can do any thing and it is a fact that in pressure mind works in more good manner. So don't worry at all in exam days. Don't enter in phobia zone, just relax and perform your studies well. Do A little bit light exercises to keep yourself fit and relaxed. In spite of doing studies in night do wake up early in the morning and study. Astrologer Astroshree wishes all the best to the students and hope that everyone will certainly get success in your exam. It is also good to take the help of astrology because if any one has prepared a lot and luck don't support then in that case person is not able to get success easily. So every try is not showing results, if any one one want to increase the probability of success then it is good to consult an experienced astrologer. So know the best totkays to follow before going to give any exam, know the lucky gems stones, know about the special poojas for you only by taking advise from astrologer. Tips For Exam Days, How to perform good in exam, How To Score in IELTS Exam?, Best ways to over come from exam fear, How To keep fit in exam days, Astrologer for best tips to score good in exam, Exam Astrology.